Posted on April 6, 2018 May 15, 2018 . COMPASS– Setting your direction and defining where you’re aiming. Simply put, setting intention. PERFORMANCE– How to take care of your body and mind to make sure you have the energy to get there. Think of this as managing attention. RITUALS– Choosing routines and rituals, including the tools and technology you use to efficiently and effectively accomplish want you want to do. Call this execution. All three elements are necessary to achieve not only maximum productivity but peace of mind. The goal is to accomplish things, yes, but more importantly to pace yourself for the long haul, and to help make sure you enjoy the ride. Gladiator GearTrack wall including the Sports Pack kit which includes track, 3 hooks of various sizes and a 24’ wide basket. Organization plays a critical part in getting things done. We need systems to offload the burden on our brains of finding things. 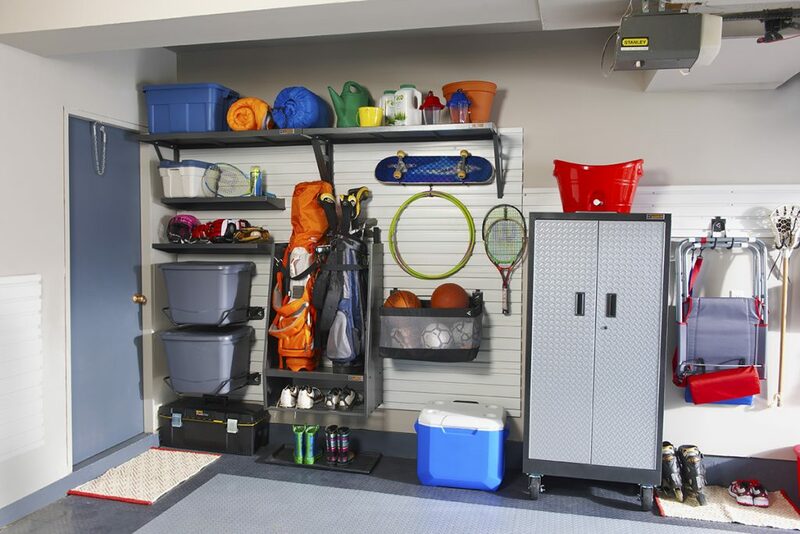 For optimal success, organizing systems should keep items visible – easy to spot, accessible – easy to reach, and manageable – easy to manipulate. Naturally, it is also important to keep things protected, as well as pleasing to interact with, so we increase the likelihood we will actually engage with them. 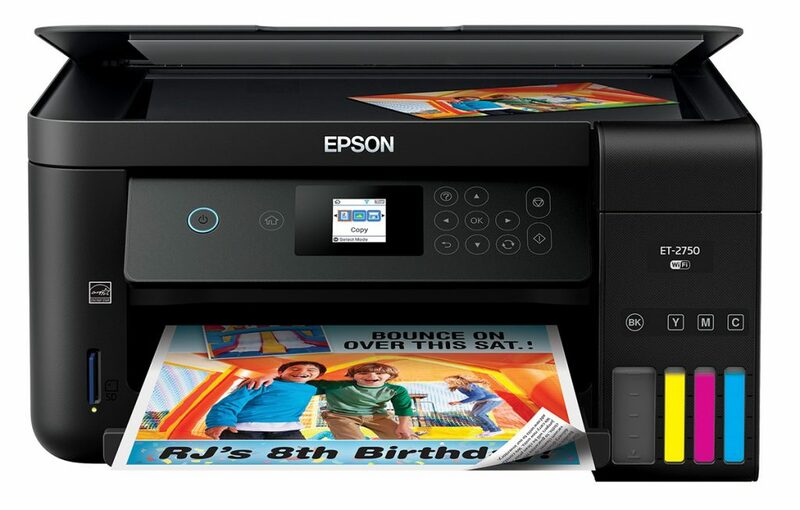 Epson Expression ET-2750 All-in-One EcoTank cartridge free printer has the equivalent of 30 ink cartridge sets. Our technology needs to be easy to work with as well. Nowhere more so than your home office. Have you ever felt the frustration of running out of ink in the middle of a project? So unproductive! What if it actually took two years to run out of ink? Epson’s EcoTank Printers have developed to offer exactly this. The Expression ET-2750 All-in-One EcoTank printer from Epson is not only reliable, with the supertank and its capacity to print over 5,200 colour, or 6,500 black and white pages, you don’t have to think about refilling ink for a long time! While the printer costs more than cartridge printers upfront, over the life of the printer, you’ll save money on the cost of ink, plus time and energy because you won’t have to purchase ink for up to 2 years. To sustain maximum performance, comfort is critical. 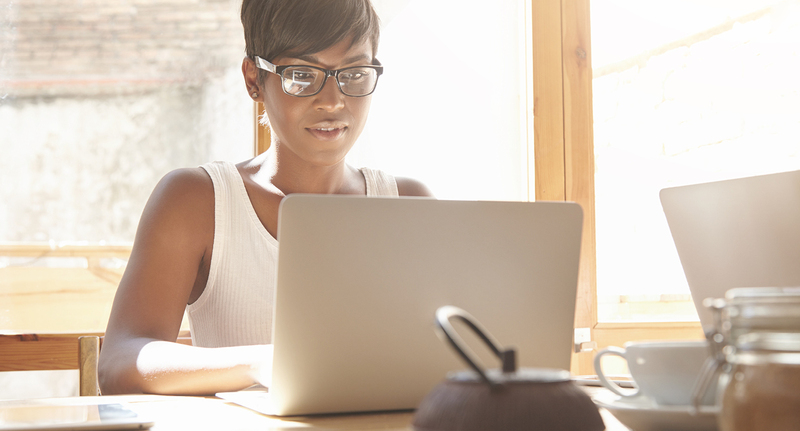 You’ve probably heard “sitting is the new smoking”, but let’s take a closer look. Canadian company CoreChair tackles challenges with sitting from the bottom up. Combining an aggressively contoured seat and low, supportive back the chair keeps the pelvis more vertical, preventing “slumping” which in turn promotes spine extension and a balanced head and neck. The extension of the spine helps ensure vertebral joints are spaced more evenly thus reducing uneven pressure on the vertebral discs and a balance of the supportive soft tissues that stabilize the spine. In addition, the chair design facilitates motion while you’re seated. It stimulates glucose regulation, circulation, and cerebral blood flow. Studies reveal an increase in caloric consumption, improved blood flow in the lower extremities and greater cognitive function. The low profile also means it takes less space which is a real plus in my small home office. It will tuck right under my sit/stand desk when I have it raised. You will likely find the lack of arms a plus in positioning yourself correctly to the keyboard.